Hristo Zlatanov, 11 November 2016. Sitting in a press room and listening to the presentation hosted by HTC, the first thing that came to mind as we learned about the new HTC Bolt was the Verizon-exclusive HTC Thunderbolt, a successful smartphone from 2011 (it was Verizon's first 4G LTE smartphone). HTC has now teamed up with another US carrier, Sprint, to release an exclusive device which introduces a new connectivity feature (though hardly as ground-breaking). 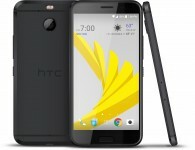 The HTC Bolt is the first smartphone on Sprint's network to launch with 3X20 MHz Carrier Aggregation which is supported on Qualcomm's X10 LTE modem. 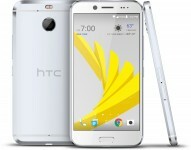 Sprint is calling the HTC Bolt: Sprint's fastest phone ever. Hence the endorsement of Usain Bolt, the world's fastest man. The HTC Bolt has a large 5.5-inch screen and its design is very derivative of the HTC 10, down to the beveled edge on the back, and even with the same color finishes: Gunmetal and Glacial Silver (The HTC 10's was called Graphite, not Gunmetal). The Bolt is HTC's first fully submersible smartphone built with an aluminum body with an IP57 rating but HTC would not be happy if you "intentionally submerge HTC Bolt" but that goes for most manufacturers of waterproof phones these days. The HTC Bolt will come with a pair of HTC's BoomSound Adaptive Audio earbuds which have a mic built-in. A sound is sent through the speaker and the ear canal reflects the sound back. The return signal is analyzed to create a custom listening profile. The profile will also check for ambient noise and uses this information to personalize the output even more. Speaking of the headphones, the HTC Bolt lacks a 3.5mm headphone jack just like the iPhone 7 Plus. The supplied earbuds plug directly into the USB-C port of the phone. It's not the first time we see this, but it's certainly the first time where an adapter to 3.5mm jack is not included in the box. Funnily, HTC has pledged to send customers who need an adapter a free one. The camera included is a 16MP shooter, and we are hoping the images it takes look as good as the HTC 10's photos. Likewise, we'd love to see what HTC's Hi-res audio recording sounds like. At the time of the HTC 10's release, we preferred the sound of the Galaxy S7's mono-audio recording taken on video. Addressing the elephant in the room, the specs of the phone are somewhat of a mixed bag: HTC is using last year's processor, with last year's 3GB of RAM, and last year's Adreno 430 GPU - in a 2016 body, with IP57 water-resistance, and no headphone jack. We'll try to remain optimistic, though. 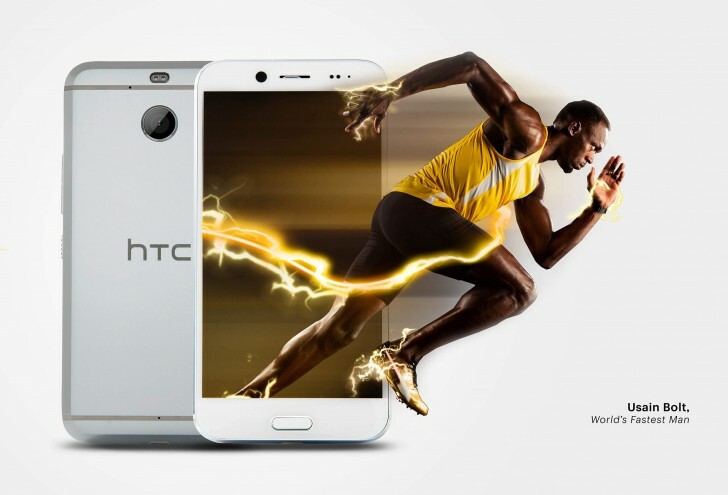 HTC is really proud of what it's done with the Bolt. The phone will be available on Sprint starting today and customers can purchase it for $599 outright or $25 per month for 24 months. We don't have to wait until then to learn more about it as we already have a unit in our hands. So let's take a look at what HTC has put out for Sprint shall we? We begin with a closer look at the hardware.